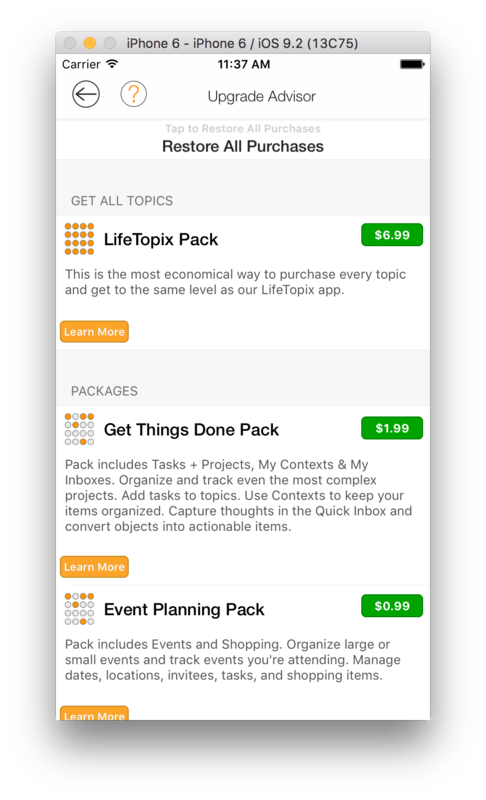 Note: If you’ve updated your app and you don’t see your in-app purchases, tap Restore All Purchases at the top of the view. 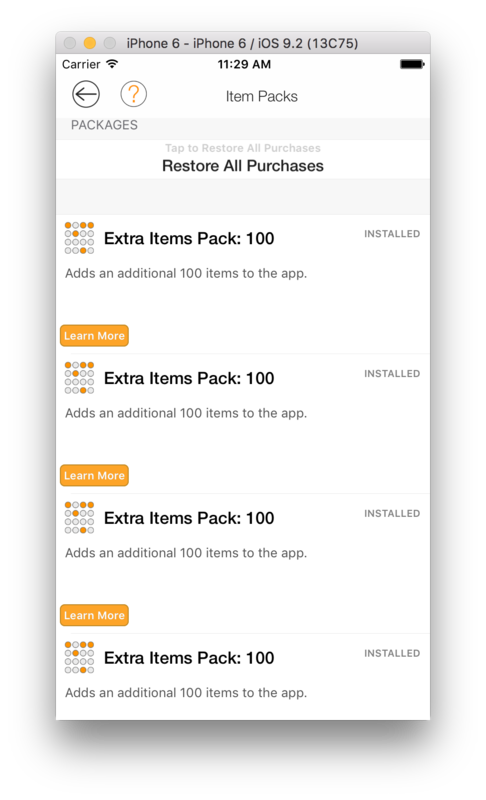 If you’re using multiple devices, tap Restore All Purchases on the secondary device to receive the in-app purchases on this device. 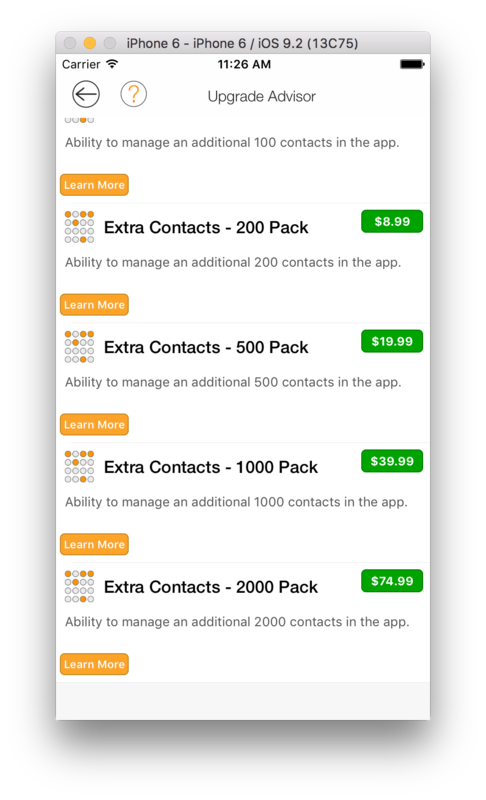 The in-app purchases apply to all devices. Q. 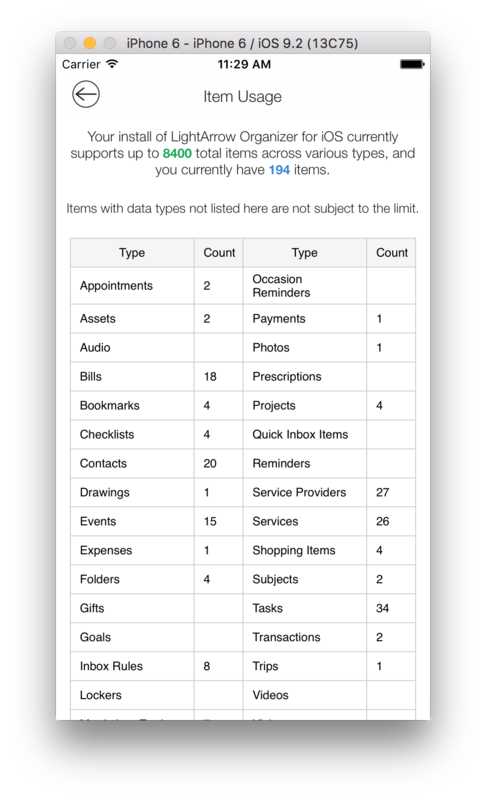 How do I restore my LightArrow purchase on a new device? Q. 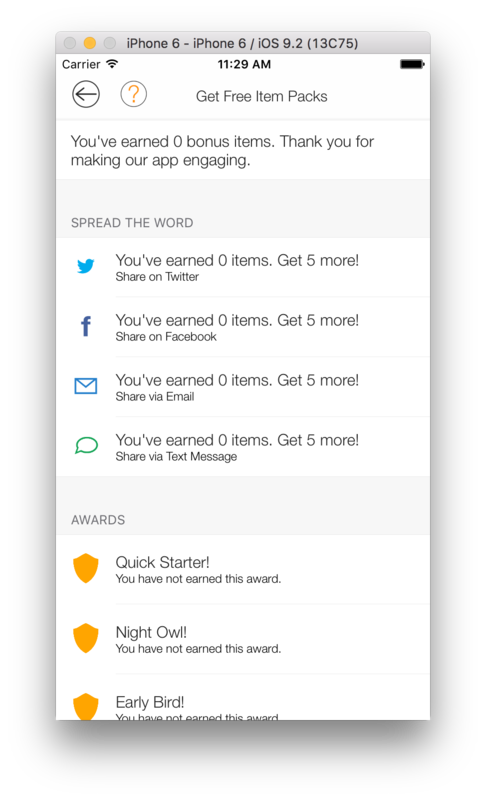 How Do I Earn Free items? 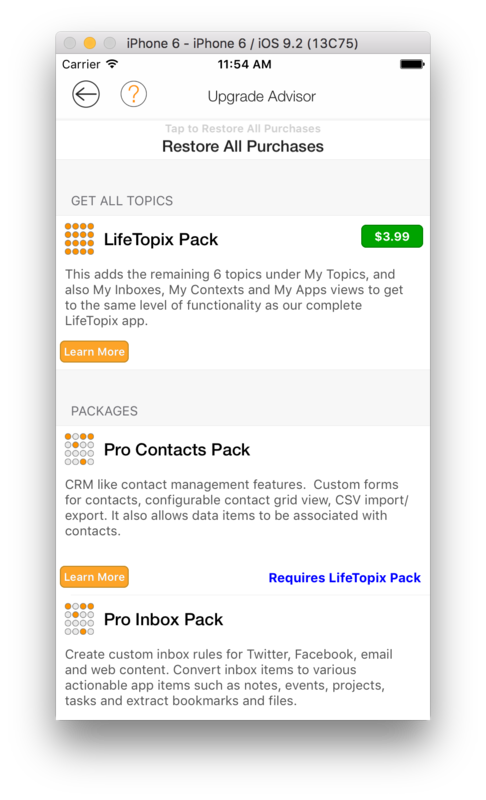 In your LifeTopix app, the Upgrade Advisor (Manage In-App Purchases) view allows you to purchase additional optional features for your app via in-app purchases. 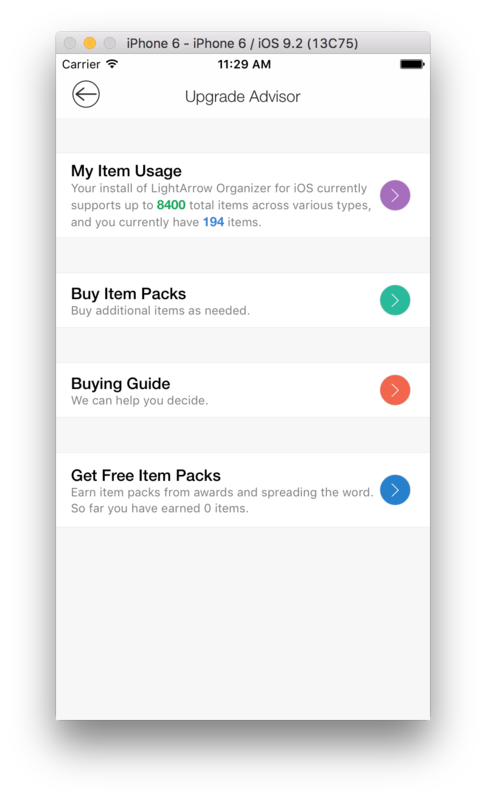 If you wish to learn more about the in-app purchases that you can purchase, tap the Learn More buttons in each section in the view. 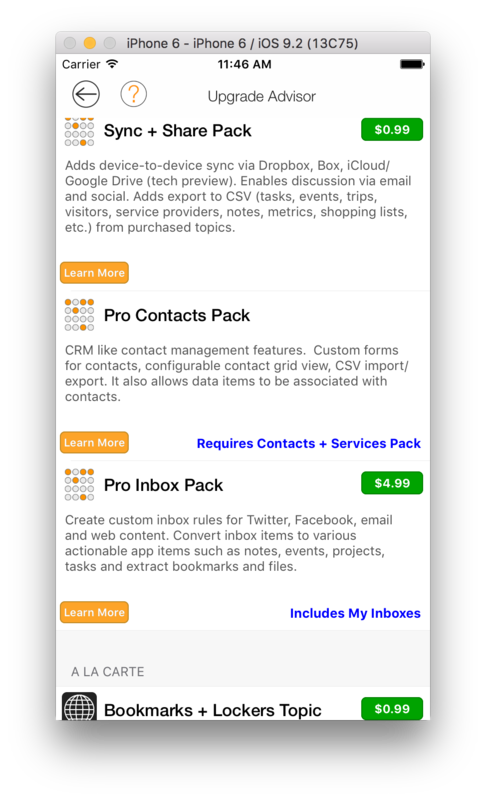 A description displays to provide more information about the purchase. 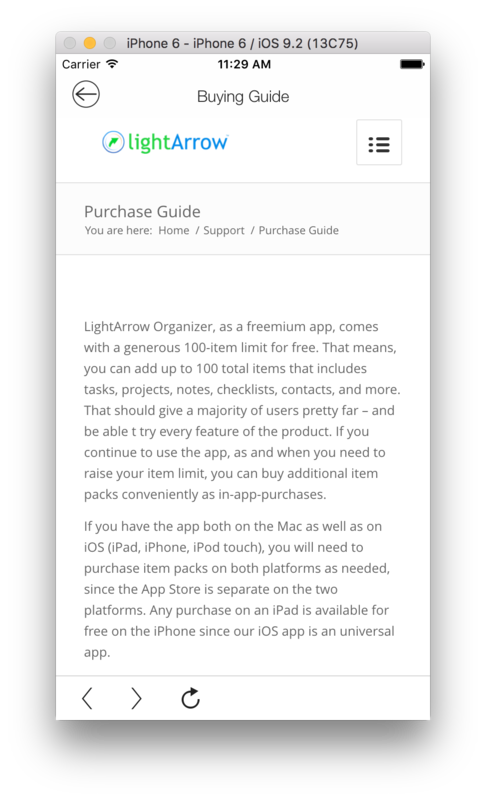 The Buying/Purchase Guide has more details about the in-app purchases for LightArrow Organizer for iOS. 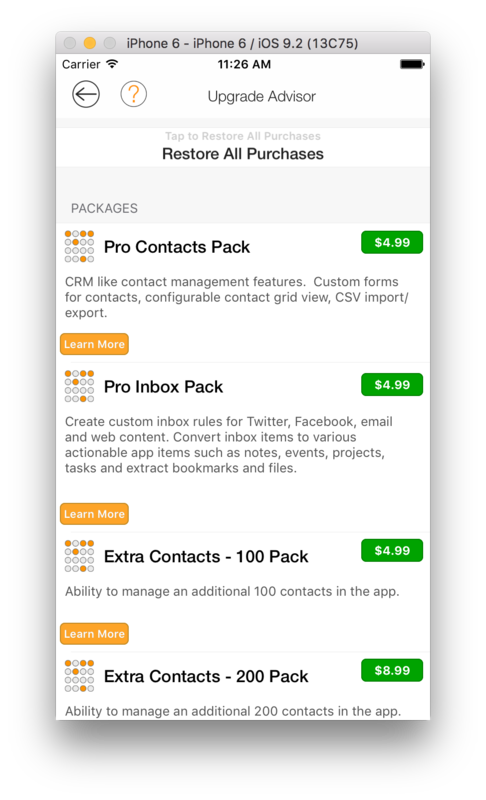 This app has various options for purchasing various features and items.